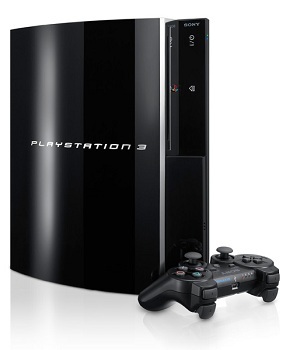 After European courts approved a 10 day injunction against importing new PS3s into Europe, tens of thousands of the consoles were seized in the Netherlands by customs officials. Due to litigation by LG Electronics claiming that Sony Blu-Ray players, including those built into the PS3, infringe on 4 of its patents, no PS3s will be imported into the European continent for at least 10 days, maybe more. The first batch of impounded PS3s are being held until the injunction expires, and with only about 2 weeks worth of stockpiled consoles left on the continent, things are looking dire for Sony. The trouble started when Sony began making claims that several of LG's smartphones infringed on Sony patents, and called for their sale to be banned in the US. LG counter-sued in the US, and began asking the International Trade Commission to ban the sales of PS3s and other Sony products in the US. It then went to European courts to ask the same thing, and after a preliminary hearing, the court ordered an injunction against the import of any more Sony Blu-Ray players, PS3 included. For Sony, which imports about 100,000 consoles into Europe a week, this news is disastrous. The company may attempt to appeal the ruling in European courts, but LG also has the option to try and get the 10 day injunction extended, and could even try to have all the impounded consoles destroyed, though that is rather unlikely. Both Sony and LG have refused to comment on the matter.